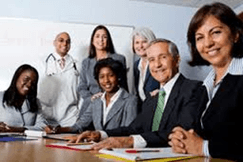 GBMP's Lean Membership mission is one more part of our commitment to providing manufacturing and healthcare organizations with the highest quality training and information available and should be an integral part of your Continuous Improvement efforts. 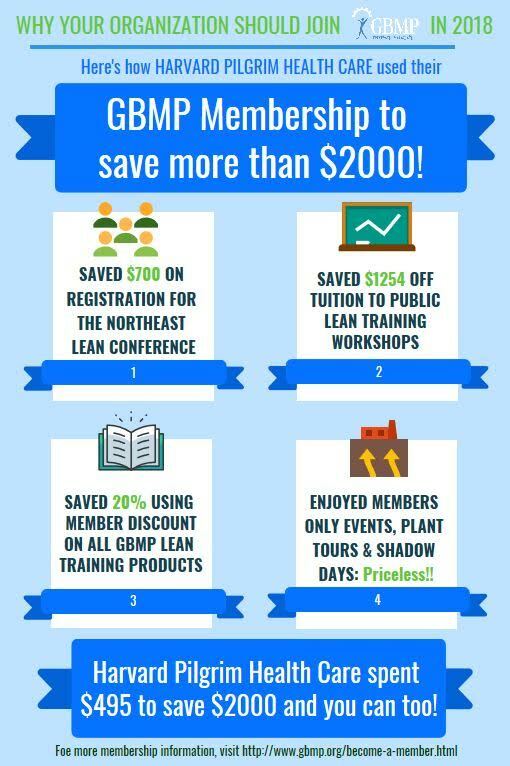 A GBMP membership offers your company valuable opportunities for saving money on resources for beginning and sustaining a Lean initiative. It is also an excellent source of networking and bench-marking opportunities, through plant tours, webinars, Learning Bites and more. GBMP members all share an interest in the Continuous Improvement philosophy and recognize the value of belonging to a Lean Network and community that will help, support and inspire you on your Lean journey to operational excellence. Read on to learn about our different membership levels so you can select the one that is right for you and your organization. Fill out the form below to request more information about membership in GBMP or purchase your membership online now. Members receive 20% off all of GBMP's lean training videos, workbooks and games. Members also receive the SME member price (15% off) for the Lean Certification Bronze Level four-book package and exam fees; an excellent addition to your lean library, even if you don't take the certification course or exam. GBMP Plant Tours are reserved exclusively for members. These are invaluable bench-marking events where companies who have successfully begun implementing Lean initiatives share their results. Gold Members get up to four free attendees. Silver members may send up to three attendees for $49 each. GBMP member companies can arrange for 2 employees to shadow a GBMP CI Manager for one day of training per year. This is an invaluable opportunity for your people to learn how to facilitate a training session or get new tools for their Lean toolbox. Use this form to request a shadow day. * Company-wide memberships can be shared with all sites within one U.S. state or geographic area.